Short & Curly are a duo who blend blues, country and folk as well as touches of r ‘n’ b, doo-wop and reggae into their distinctive style of acoustic roots music. 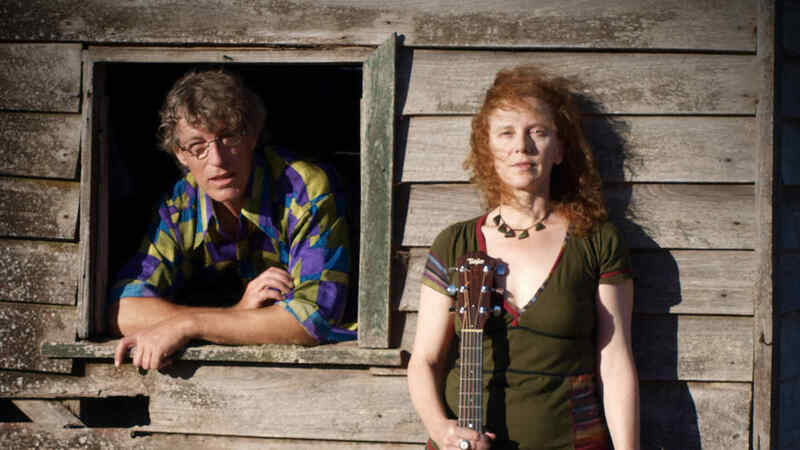 Driven by Karen ‘Curly’ Hunt’s smoky vocals and Steve ‘Short’ Packer’s versatile diatonic harmonica playing, that broad yet cohesive diversity is reflected in the nine original songs and one obscure cover on their second, newly released CD, Fugitive Souls. In something of a tribute to finding the kind of lifestyle and vibrant musical inspiration they were seeking on moving to Bridgetown, everything about the album – recording, production and additional musicians – has been sourced among friends from the local Blackwood area. One of the most regularly booked acts south of Perth in recent years, they calculate that they must have played their 500th gig in recent months – which is way beyond any expectations they had when they started out playing covers at friends’ parties and jams soon after moving from Sydney to Bridgetown ten years ago. In that time they’ve played at all manner of venues from Esperance to Broome and they toured Melbourne in 2015. Events they’ve appeared at include the Nannup and Nanga Music Festivals, South West Craft Beer Festival, Mandurah Crab Fest and, of course, Blues at Bridgetown.